Step 1: Open your map. Step 3: Copy your embed code. You can also customize the width and height at this point. Step 4: Paste the code into your website page or blog. Step 3: Set your map privacy level. There are 2 privacy options available: Password Protected and Public. 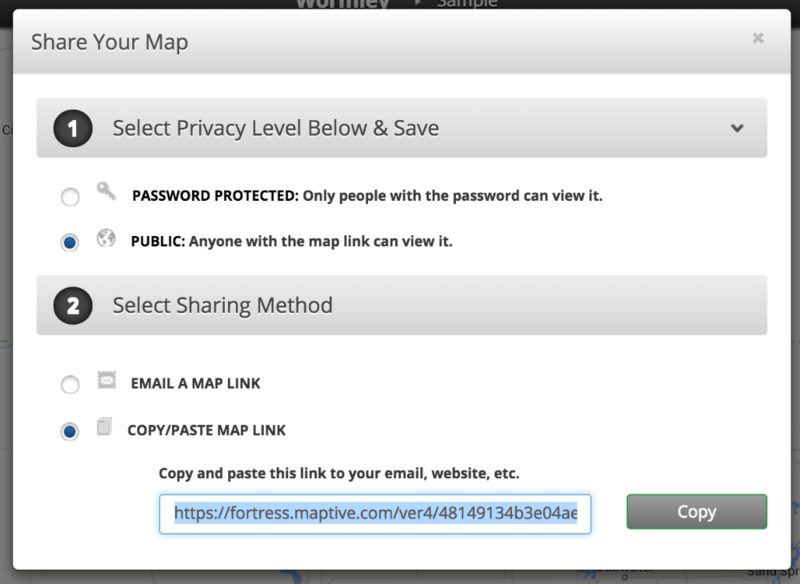 Step 4: Find and copy your map link by selecting 'Copy/Paste Map Link' in the sharing method options. Step 5: Post your link to your desired website (Facebook, Twitter, forum, etc).